first published in 1989 by Stephen R. Covey  . Any book with such success should be studied, even if the content is not studied for it's own sake. If any question should be asked, it is how has this work been so successful? What are the principles 'under the hood' that make the ideas in this book acceptable to such a large numbers of readers? Surely the phenomena and influence upon millions of readers and followers is an example of Covey's "Habit 6" or the SYNERGY produced by the input of many his many readers. New words and concept are now in common usage in todays work world through the influence of this book and teachings of Dr. Stephen R. Covey personal touch. What follows on this web page is a discussion by James N. Hall author of Futurlogics concerning the "SEVEN HABITS OF HIGHLY EFFECTIVE PEOPLE." The commentary is mainly styled for those who have already read this publication. Nevertheless reading these commentaries first will serve as an overview to frame reading. Comments in parens '()' are by james n. hall in the immediately following list of Habits by Stephen R. Coveys book which sold many millions of copies and the overview of many tapes and lectures by this successful consultant and effective teacher. and succeed the theme of Covey's work. Ability to reflect enables Futuring the Future. Prediction, Foretelling, Prophecy, Preparation, Planning. Social Memes or Viral Changes in Society. Economic Differences Impact i.e. “follow the money,” "track the gold." Language Patterns, Communications role in change mechanics. Group Thinking vs. Personal Thinking. Professional Expertise,Specialization effect/affect on Observation. Life Span, Experience role in thinking, learning, study. Specialization of Occupations vs. the Generalist in futuring. Veracity of Data and Accuracy of Research, Trust. Peacetime Science vs. Wartime Science, Industry. Academic Authority vs. the Self Evident. Administration of Resources or Influence of Money in Research. Acknowledgement of Originality vs. False Claims of Discovery. Mixed Metaphors or Hazards of the Never Ending Brain Storm. Differences in Individual Attitudes Towards Intuition/Insight. Mental Capacity to think of more than one thing at a time. Emotional Attachment to “Visions”, Theories, Guesses . . . .
False Peer Reviews or No Peer Reviews. Proper Social Relationships vs. Clinical Approach. Recognizing Hidden Value or Gold Mining Data. Explaining Concepts in Simplicity is the Best Answer. Premature Judgment vs. Waiting too Long. Valuing, Honoring, Creativity and Genius. Foremost Authorities in Research and their Value in Planning. Recognizing How Revolutionary Ideas Form or Transform. Respecting the Non Experts Perspective in Futuring the Future. Deep Research and Casual Study. Benefits of Positive Life and Good Health. Respecting Power of Natural Forces to Benefits Memes. (This is 'Barn Building' as portrayed by Barbara Sher in "Wishcraft"
Strength of Consciousness enables Futuring the Future. Strength of Consciousness enables Clarity of the Thought. Certainty of Experience enables Mentoring the Next Generation. brainstorm sessions or "Barn Building" . be difficult to shift or overcome. and there is space before 'response' and there is space after 'response'. stimulus and prepare for a response through planning. 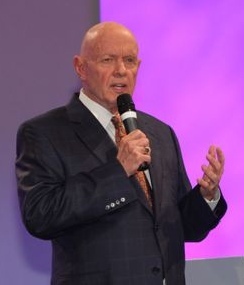 predict"  quote Stephen R. Covey in his book the "EIGHTH HABIT". futurlogics breaks covey's paradigm down to thinkable components. do constrict thinking but his principle based HABITS will be more liberating. Creativity is mentioned only at the social level of the interpersonal or HABIT 6.
generation that often the personal level overlooks due to a personal bias. Personal biases do and will offset themselves at the group brain storm session. Actually both methods of generating ideas are benificial to idea creation. We must 'value the difference' to best reach creative synergy. primitive than the Covey Paradigm concept. It is a component, if you will. unknown or the future possibilities. the emergence of DMP. How do we internalize the procedure of Futurlogics? sense of DMP will be felt and is discernible in our thought process. the other ways are discounted. conditions and cause specific effects to occur, we are preparing. even if our preparedness has become HABITUAL and below awareness. put off preparation for tomorrow soon we find that it is a HABIT. also start the HABIT we mentioned. by some to be HABIT forming and frames much successive behavior. 2. As with all human behavior, planning is rooted in HABIT. to improve our innate skills of planning and creativity. Principles are the mainstay of the "Seven Habits of Highly Effective People." Futurlogics 'habit' is based upon the general overall Self Teaching Principle. advance information to leverage the time and space to sharpen tools. the mind is the ultimate tool to sharpen all other tools. There is this claim in Futurlogics that is worth quoting at this point. books are "now" oriented, formulated to improve status, prestige, and power. other books will be easier and viable. big, be positive, and accept progress. How does Futurlogics assist in building this 'Habit Paradigm'? Futurlogics the advance thinking model . is the stone to sharpen the Tools to build the Principled Habits. one find ones own voice. Greatness comes from helping others to be great. warn or guide others through the 'perils' and the good times also. direction and this . . . can be seen as a disturbance and/or disobedience. these are positively manifest by modeling, pathfinding, aligning, empowering. of these pathfinding (chapter 11 in the EIGHTH HABIT) is the least understood. Opposition to change is not always detrimental because it can be used as a pivot to effect changes that would not otherwise be possible. All change is met with oppositition and this principle cannot be escaped, so the best thing we can do is use the opposition to further produce the desired goal. This is where intelligence is a prime factor in preparing. Pure intelligence is a force with no opposition. direction is to go to the "Seven Habits of Highly Effective People"
splayed out as the rainbow by the prism of the mind. Principle Level of intuition and insight which acts as the prism of thought. This is referenced as DMP for short in the Futurlogics Theory. course, any inspiration is welcome. and A. Roger Merrill and Rebecca R. Merrill entitled "FIRST THINGS FIRST"
copyright 1994 by Covey Leadership Center, Inc.
reality before you live it." choices we make and the way we spend our time." Imagination does more than enable the mind to view the future." modes and synergized with Holistic Thinking. With the advent and advancement of the computer there is now time to do what man can do better than the machines and that is really think and make good decisions notwithstanding the singularity. The Brain is so flexible that it can have millions of thinking systems for every purpose. Man must really learn to think again. Perhaps children think the way we should and we need a reminder to get back to that natural thought process. Computers and computer modeling have given man time to think and the winner in the competition to come is in the ones who are thinking best! Top Management will be equal in software and data processing as the Software Companies unify, so the differences will be in the companys who can OUT THINK their market competitors. Computer process data. People process knowledge. Foreknowledge is leverage to change or protect the future! Artificial Inteligence will be one of those competitors.